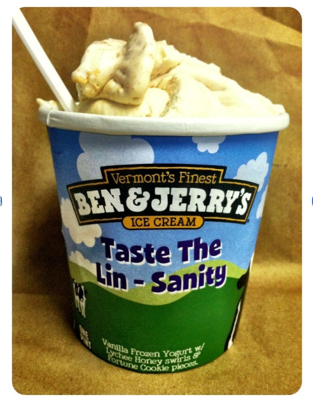 According to Boston.com, Ben & Jerry’s has started selling a limited-release flavor at its Harvard Square shop called “Taste the Lin-Sanity.” The store has set up a hoop inside the store and customers that make a basket can earn a $1 discount on a pint of Lin-Sanity. 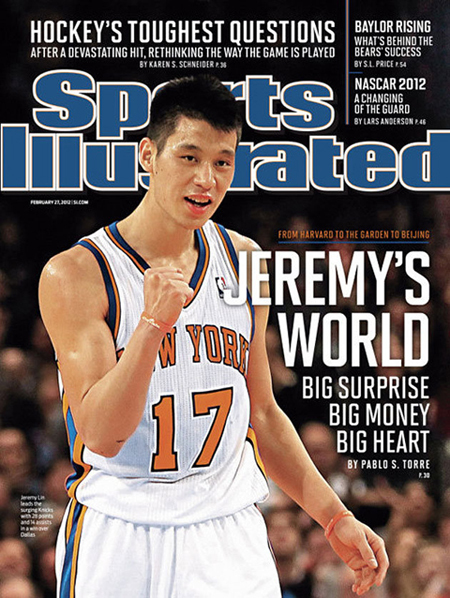 With his second SI cover in as many weeks, Jeremy joins some elite company. Previously, the only NBA stars to have garnered such an honor had been Dirk Nowitzki and Michael Jordan. ESPN’s Sport Science breaks down Jeremy’s quickness, spin moves and shot release and compares him to John Wall, Derrick Rose and Ray Allen. 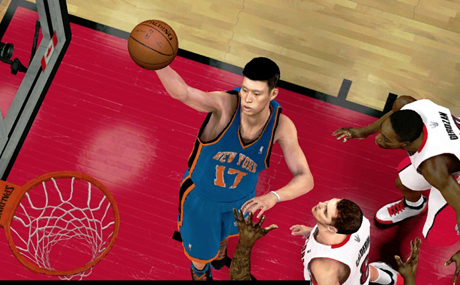 The video game NBA 2K12, published by 2K Sports, did the unprecedented and upgraded Jeremy’s player rating twice in one week. 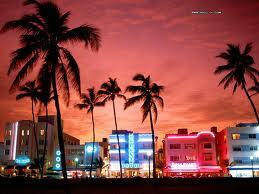 The game had initially rated him at a lowly 56 (out of 99). 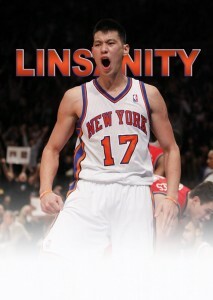 After his breakout performances, however, that was bound to change. His first ratings update came about a week ago to a 69. Then a few days ago, his rating was set to 75, where it currently stands. The most recent update puts his rating near that of Ricky Rubio, who has a 77. If Jeremy continues to deliver the wins, expect more upgrades to come. Powered by WordPress v 5.0.4. Page in 0.427 seconds.